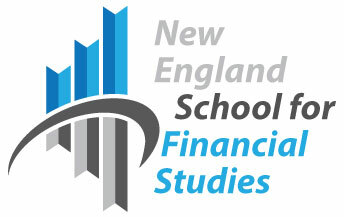 THE NEW ENGLAND SCHOOL FOR FINANCIAL STUDIES provides banking professionals with the tools needed to manage effectively in today's changing financial climate. An intensive two-year program of studies broadens the skills of supervisory personnel and trains them to make decisions that promote the profitability of the bank as a whole. Over 3,456 bankers have graduated from the School. Two one-week resident sessions provide students with 135 hours of classroom instruction conducted by distinguished faculty members chosen for their expertise in both the academic and business worlds. Classes combine lectures with case studies to involve participants actively in the process of research, analysis and creative planning. Between sessions, students complete five assigned independent study projects that focus on their bank and build on the first week's instruction to prepare them for more advanced training during the second year resident session. The course culminates in a comprehensive computerized simulation which challenges students to assume senior management responsibilities. Students will be evaluated on their knowledge of BankExec, strategic planning exercises, and presentations. Each segment will be appropriately-weighted and scored as part of the final grade. By graduation, students are better prepared to contribute to their bank's overall operation and participate in profitable decision making.